As the mobile industry moves forward at a great pace in computing, we’re seeing a shift towards gadgets designed for gaming. These devices run on processors built on the latest manufacturing nodes and have special cooling solutions not found on flagship smartphones built for regular users. Right now three companies operate in this space – Xiaomi, ASUS and Razer. 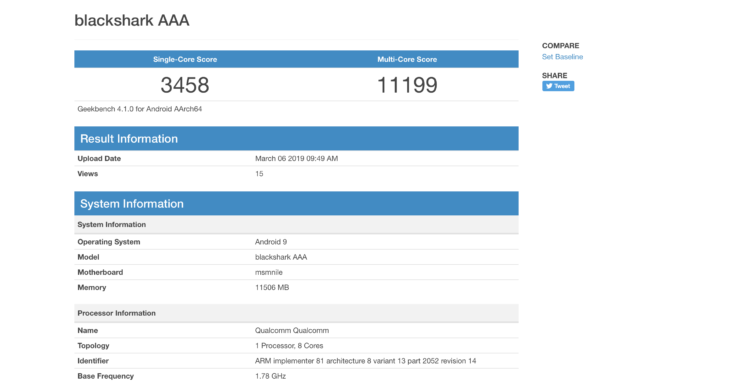 Today we’ve got a benchmark that might belong to the successor of the Xiaomi Black Shark. Take a look below for more details. In what are its first set appearances, the Xiaomi Black Shark 2 has surfaced on GeekBench. Such postings generally take place when a device’s major design parameters are finalized, and the company starts to focus more on performance. Six tests on the smartphone have been run today, and they show performance that you’d expect from a 2019 flagship smartphone. The Xiaomi Black Shark is due for an upgrade as the company launched the original smartphone in April last year, and then succeeded the device with the Black Shark Helo. Now, with Qualcomm’s Snapdragon 855 official and readily available to select manufacturers, the time is perfect for a successor to the Black Shark Helo. 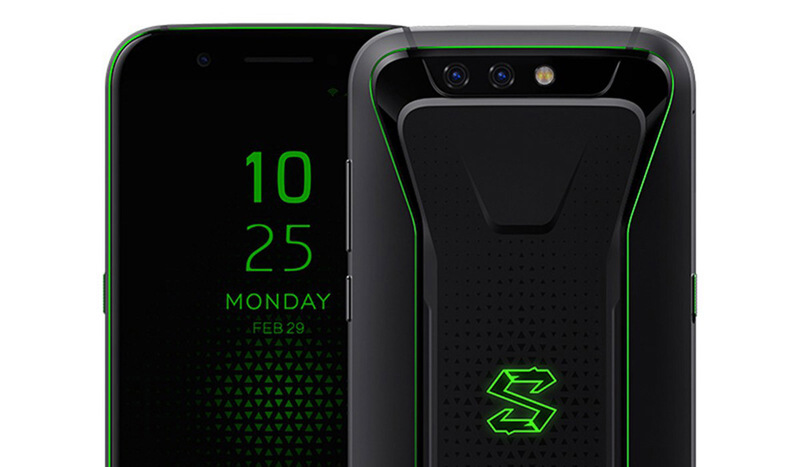 In that vein, it looks like Xiaomi has commenced work on the third generation Black Shark smartphone. As you can see, the Black Shark 2 comfortably crosses 11,000 points in GeekBench and even manages to hit 11,400 once. Given that the device is likely in its early stages of development, these are good scores to achieve, but it’s impossible to comfortably state whether this will increase or stay the same. 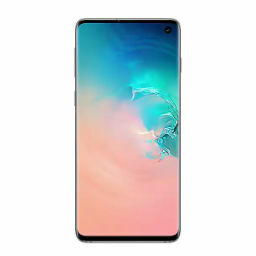 After all, benchmarks for Samsung’s Galaxy S10 stayed the same before and after the device’s launch. There’s little performance that software tweaks from a manufacturer can eke out of hardware unless it involves changing a chip’s basic parameters such as power efficiency. Rest assured, we’ll be on the lookout for more details for the Black Shark 2. Till then, stay tuned and let us know what you think in the comments section below. We’ll keep you updated on the latest.